Mcfarlane 12 Inch Leather Face collected in Figure Collection by Tayler Rowe - Collected It! This one is fairly new to my collection, extremely detailed and the texture on his clothing sends chills down my spine every time. I'm a huge fan of these films and have always wanted a leather face, so it's good to have one finally up. 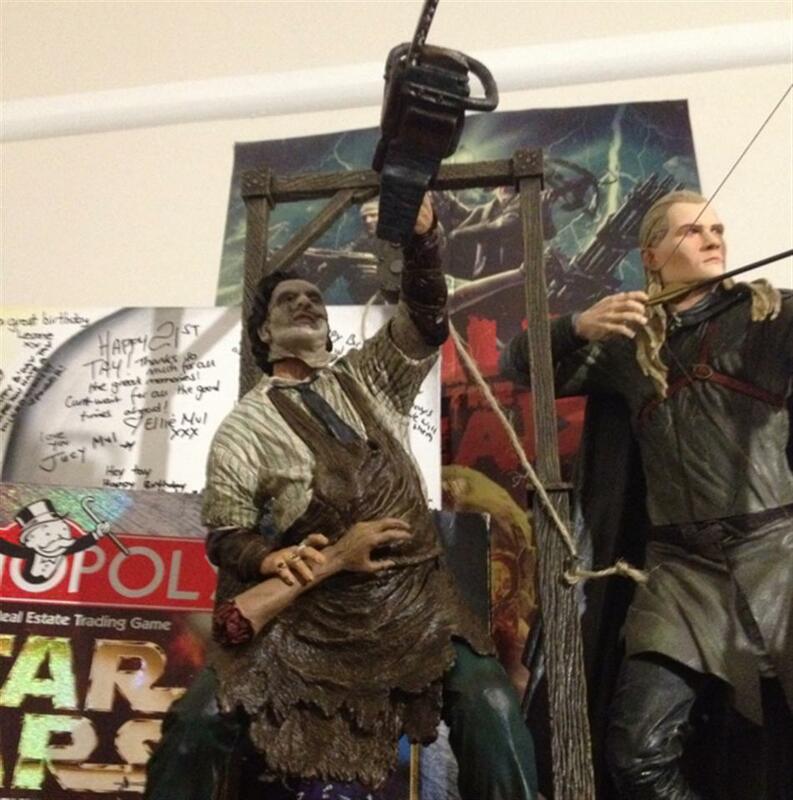 Although the position he is in holding his chainsaw straight up is a little weird, the whole base for the figure makes up for it, with a huge 18 inch wooden like frame with real rope and hook, the whole thing together gives off a creepy vibe in a dark lit environment.